Can you imagine not having to drive to the gym every morning and working out in your pajamas? Well, that scenario can become reality. You no longer have to take long commutes or wait until someone else finishes using a machine for you to work out. Having a garage gym has tremendous benefits. Here are some of the top advantages of a garage gym and several machines and the gear you'll need to get started. WHAT EQUIPMENT SHOULD YOU INVEST IN FOR A GARAGE GYM? While getting fit in a real gym is always preferable, here are some hard-to-resist reasons why you should consider setting up a garage gym. A gym membership can cost up to $15,000 a year, which can be quite expensive if you’re not getting the most out of your membership. Setting up a garage gym can help save your wallet in the long term. Your investment will pay itself in the long run. Sometimes you’re less motivated to go to the gym and driving to the gym makes this worse. Fortunately, with a personal garage gym, you no longer have to endure long commutes when you least feel like it. All you'll need to do is wake up and walk to the "gym" in your favorite sneakers. Setting up a home gym gives you the freedom to make it your own. You can invest in whatever equipment you like and decorate it as you please. The best thing is that you can customize it on your liking whenever you feel like it to help you stay motivated. You’ve probably come across rude trainers who are moody and some close for the day when you’re ready to work out. Having your garage gym saves you the trouble of unfriendly trainers. What’s more, you no longer have to wait for your turn to use the equipment. All you need is to get ready and start working out. The amount of space depends on your fitness goals and personal preferences. You can have a complete workout session if you have space for the weights, a squat rack, and a weight bench. However, if you need to do several exercises that need different equipment and room, you’ll require more space. If you’re not sure if you have enough space, measure all your pieces of equipment and compare them with the size of your garage. Alternatively, you can use Google’s SketchUp, which is a free 3D modeling software that can help you plan your layout. Although having your space to work out right in the comfort of your home sounds fantastic, it can be daunting trying to figure out where to start. Here are some helpful tips to help you get started. It’s essential to plan before creating a garage gym. Determine what your fitness goals are and what equipment you’ll need to get started. Also, consider any décor ideas you might want to include. Doing this will make the process seamless and manageable. Your budget will play a critical role in your choice of equipment and in how you'll plan the space. Do not choose the most expensive equipment when you could do fine with the absolute necessary equipment that costs half the price. Buy only gear that gives you value for your money. 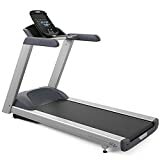 Decide on whether to get cardio machines that get your heart rate up or equipment that enhances strength to boost metabolism and build muscle. Check out garage sales, discounts to items like rowers and bikes on Craigslist. Moreover, you could make use of coupons for flooring, paint, and redecorating. It’s essential to declutter first before you start moving any equipment into the garage. Take advantage of this moment and get rid of unwanted items. You can choose to sell those items in a garage sale, donate it to charity, or throw it away. You need to make the most of your space if you don’t have a large garage. Plan out your gym to ensure that everything fits well and there’s enough walking space left. If you need to include large machines, make sure they’re against the wall. Store away the small equipment like dumbbells and yoga gear when they are not in use. Also, you can use the ceiling for storage as it can free up space. Weight racks are ideal if you’re trying declutter space. Sometimes you want to have enough space to park your car, and this may be difficult if you have a small garage. Remember that when building a garage gym, you’re looking for convenience. You may want to use a detached garage to build a gym. Some people have the training to ensure that the garage meets the set safety standards and quality. If you have a hard concrete floor in your gym, you may want to consider soft flooring option that will prevent any strains and impact on your muscles. Some of the alternatives to consider include foam, epoxy carpet tiles, and rubber. Epoxy floors can withstand very heavy traffic and have a longer lifespan. Also, they are dust-proof and water resistant, which make epoxy floors easier in regards to cleaning and maintenance. Here's an awesome tutorial on how to install a DIY epoxy floor in your garage. In a garage, you have little to no control over humidity and temperature, which can be problematic. Ensure that you have a heater, an AC, and a fan as this will be ideal for any weather condition. The type of equipment you settle on depends on your fitness goals. You can opt for cardio machines or strength enhancing machines. Here’s a breakdown of the two. Exercise bikes are excellent as they can help you burn calories, increase your heart rate, and get your muscles burning. You can improve your fitness levels and get in great shape whether you’re a beginner or an experienced athlete. The treadmill is a favorite with most people as it offers an efficient cardio workout. You can start by walking and later move to interval training to build endurance and strength over time. An elliptical trainer is easy to use and helps you work on both your upper and lower body. The machine doesn’t take up much space and comes with an easy guide to get you started. Dumbbells give you an excellent core workout. They are also inexpensive and are available for different weight levels. You can choose what works for you now. You’ll need to focus on heavy compound exercises at some point in your training. A bench press station can help you perform exercises like squats, bench presses, and bent over rows. 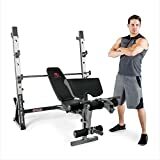 Although setting up a bench press station may take more space, the versatile equipment allows you to perform a different exercise. Moreover, it’s a fantastic item to improve strength gain. Bumper weight plates work perfectly with a squat rack. Go for weight plates made of hard rubber as they are safe to use in the garage. A weight bench is an excellent addition to your garage gym. You can use this equipment for various exercises. 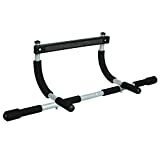 It can be ideal for weightlifting, used in place of a plyo box, or act like a GHD. Kettlebells are a must-have if you’re into lifting or CrossFit. A kettlebell works more like a dumbbell by providing different strength moves that involve snatching and swinging. 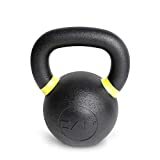 Although kettlebells may look similar, they vary in regards to price. 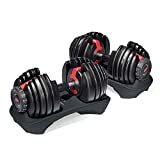 However, when starting your garage gym, you can buy the used ones. Ensure that they are made of cast iron and opt for a heavier kettlebell to quickly adapt. Kettlebells with powder coating have a more comfortable grip than the epoxy ones. A pull-up bar can improve your abdominal and upper body strength during a workout. Start with a simple L pull-up, and you can change the grips or include another variation. The best thing about a pull-up is that you can place it on a ceiling or on a wall, which helps save space. These are the basics to creating a garage gym from scratch. While there are many more garage gym ideas you can consider, make sure that you have enough space to build the gym and get the necessary equipment to get started.